Neck and arm pain affect people in every age and stage of life. There are many non-invasive treatment options. Back, leg and foot pain can come and go, but recurring symptoms can often be signs of deeper underlying conditions like sciatica. 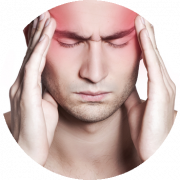 Headaches, numbness, hip pain, heel pain and more can all be treated with the assistance of a chiropractor. Aches and pains associated with sciatica can be reduced and even eliminated completely with the Cox® Technic. The Cox® Technic is a highly effective solution for minimizing pain and discomfort caused by pinched nerves and slipped discs. Can’t Find Your Pain Point? If you’re experiencing pain or discomfort in an area that’s not listed— let us know, and book a complimentary consultation here. From lingering issues to severe injuries, we’ll provide you the proper treatment so that you can feel yourself again. "If it wasn't for Dr. Paul, my ringing in my ears would still have persisted. With just a couple of adjustments to my neck, the ringing was gone within two weeks of treatment. Also, I had chronic back pain, and since Dr. Paul has been treating it, I have about 80% less pain and that is from the chiropractic care I get from Motion4Life. I am able to have a better life on a daily basis these days. I would recommend anyone to see a chiropractor if they were experiencing any kind of pain. I am a believer in chiropractic medicine." "In the last four months, I had an unexpected problem with my back which was painful and restricting. Treatment was begun twice a week and over its course, I have progressed from using a cane to walking independently. I now have no pain and have been able to increase my activities, consistently on a weekly basis. Thank you for everything, Dr. Paul! His courtesy, sensitively and professionalism is also very evident in the office staff." "I tried many other treatments before turning to a Chiropractor, including osteopathy, acupuncture, physiotherapy, and massage therapy. None of these treatments seemed to improve my condition or level of pain. Chiropractic has allowed me to return to a high level of physical activity after several months of intense pain and inactivity due to a "sequestered disc" impacting the sciatic nerve in my left leg. 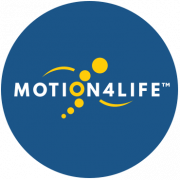 I would definitely recommend that they give it a try, and would specifically recommend Dr. Paul of Motion4Life. Within only a week of treatment I was off painkillers completely and within only four weeks of treatment, I was able to go on a hiking trip to Arizona and the Grand Canyon which I had seriously considered cancelling. After a few more months of continued treatment, I embarked on a successful cross-Canada cycle trip. I continue to get treatment there because of the care, attention to detail and listening skills of Dr. Paul and staff. " "Following a collision, I experienced constant headaches as well as severe back and neck pain. Since beginning my chiropractic treatment program, the results have been amazing. Within 2 months, my headaches have been relieved completely. I have also noticed a dramatic improvement in regard to my back and neck pain. Thank you, Dr. Paul Taillefer for the excellent care you consistently provide." Ottawa Chiropractor Dr. Paul Taillefer is devoted to seeing you live out your best life each and every day. Certified in the Cox® Technic and numerous other techniques, Dr. Taillefer provides a multitude of chiropractic treatments that can restore your quality of life. For more information on our treatments, household remedies, and strength training exercises, explore our resources. wanted to. let us help.